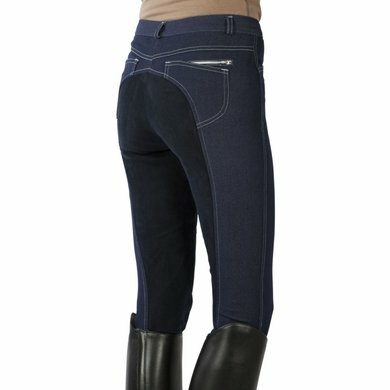 Super elastic and extra comfortable riding pants with trendy jeans look. With stylish white seams, washable fully reinforced artificial leather seats, belt loops and multiple subtle bags (some with zipper). 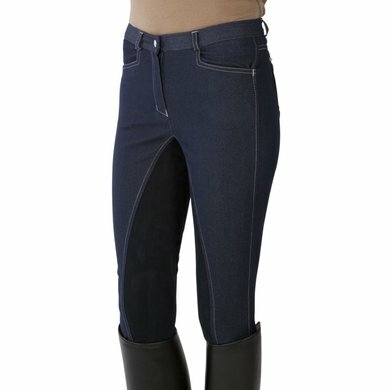 Neat riding breeches, nice color. Found the fabric feel separate, can not describe it properly, but did not think it was a nice fabric. Size 36 (my normal size) was too small. Fine riding breeches, nice fit.